Professor Seth N. Jaffe, Assistant Professor of Political Science and International Affairs at JCU, just published the book Thucydides on the Outbreak of War: Character and Contest with Oxford University Press. Dr. Murugan is an Assistant Professor at Fordham University in the Department of Communication and Media Studies. Her main research interests are TV, gender, race, media, transnationalism, and fashion. John Cabot University professor Vanda Wilcox recently published Morale and the Italian Army during the First World War with Cambridge University Press. From May 25th to May 29th, 2016, Jens Koehler from JCU's Department of Art History and Studio Art attended the international conference "Water during the Time of Frontinus," in Trier, Germany. Professor Benedetta Bessi, who teaches Classical Studies and Ancient History at JCU, recently lent her expertise in ancient Roman wine to the British ITV channel. John Cabot University is pleased to welcome new professor of Political Science and Dr. Seth N. Jaffe International Affairs, Dr. Seth N. Jaffe, who will begin teaching in January 2017. 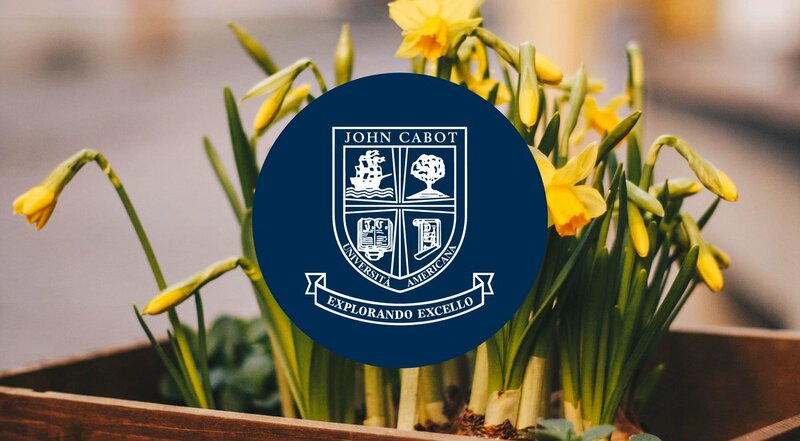 John Cabot University and the United Nations Interregional Crime and Justice Research Institute (UNICRI) are pleased to announce the fifth edition of the Summer School on Human Rights. On Tuesday, April 19th, the JCU Institute for Entrepreneurship, in collaboration with Professor Riccardo Maiolini's Strategic Decisions in Entrepreneurship (BUS 410) class, welcomed Jegor Levkovskiy for a guest lecture. Carpintieri, who presented her co-founded company Checkmoov, offered great insights into her experience with strategic planning, market research and scenario analysis. The case study focuses on an experimental initiative that has evolved into Learn Do Share, a program promoted by the JCU Institute for Entrepreneurship that matches real clients and real projects with students, who work as consultants to present a professional solution to a business need. The white paper, which was published by the International Research Center on Social Innovation CeRIIS (Centro di Ricerche Internazionali sull'Innovazione Sociale), explores the topic of social innovation in Italy. On Thursday March 24th, the JCU institute for Entrepreneurship, in collaboration with Professor Riccardo Maiolini's BUS 410 Strategic Decisions in Entrepreneurship class, welcomed the founders of Mr. Guide for a guest lecture. Professor of Philosophy Stefan Lorenz Sorgner will present a paper during Roma Tre University's two-day conference "Politics and Aesthetics" on April 4-6, 2016.